Another model made for the American bloke, Roger White was the triple barrel ” Drilling ” Model built in the usual way from Plastic card, rod, strip and tube using the 1/35th AFV club model to scale up. 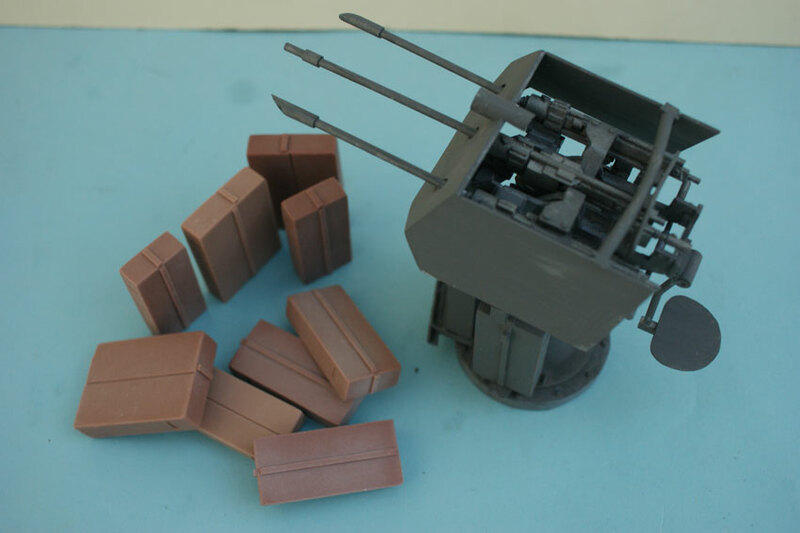 The shells for this were 1/35th scale 48mm which came out quite close and these were fitted to a thin card ammo belt and then to the ammo boxes one end and the guns at the other. Extra boxes were cast from resin and when grey primed it was sent to a guy called Rick for finishing and then on to Roger. 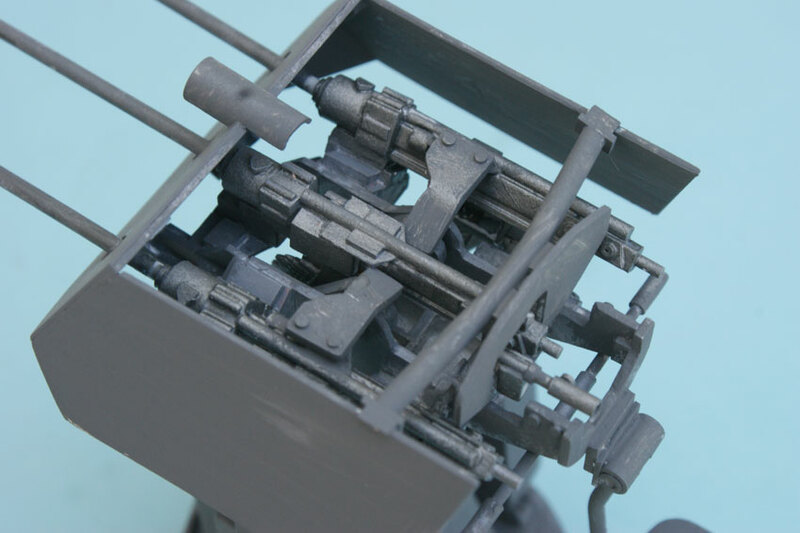 Rick also built a 251 H/track for the drilling to mount in and had it towing the earlier built 30mm flak…some serious firepower !